Nazneen's inauspicious entry to the world, an apparent stillbirth on the hard mud floor of a Bangladeshi village hut, imbues in her a sense of fatalism that she carries across continents when she is married off to Chanu. Her life in London's Tower Hamlets is, on the surface, calm. For years, keeping house and rearing children, she does what is expected of her. Yet Nazneen walks a tightrope stretched between her daughters' embarrassment and her husband's resentments. Chanu calls his elder daughter the little memsahib. "I didn't ask to be born here," says Shahana, with regular finality. Into that fragile peace walks Karim. He sets questions before her, of longing and belonging; he sparks in her a turmoil that reflects the community's own; he opens her eyes and directs her gaze, but what she sees, in the end, comes as a suprise to them both. While Nazneen journeys along her path of self-realization, a way haunted by her mother's ghost, her sister Hasina, back in Bangladesh, rushes headlong at her life, first making a "love marriage", then fleeing her violent husband. Woven through the novel, Hasina's letters from Dhaka recount a world of overwhelming adversity. Shaped, yet ultimately not bound, by their landscapes and memories, both sisters struggle to dream themselves out of the rules prescribed for them. 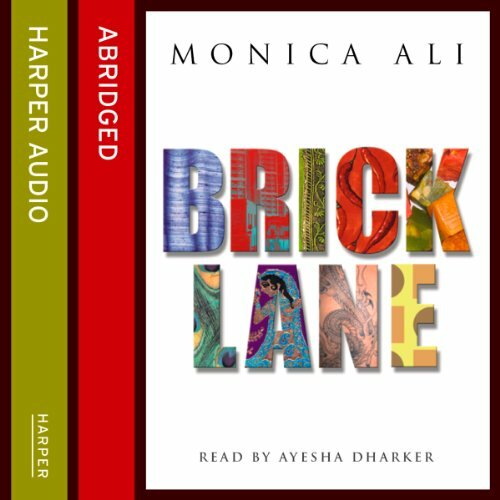 Beautifully rendered and, by turns, both comic and deeply moving, Brick Lane establishes Monica Ali as one of the most exciting new voices in fiction.